Gone are the days of the backyard or rumpus room being every family's repository of outmoded furnishings and neglected toys. When you're ready to transform your living space&amp;amp;;both indoor and outdoor!&amp;amp;;into the oasis of your lifestyle dreams, think Relax. Blue pool, Inc. Brings you superior services. Unfortunately, There is not such things as a maintenance free swimming pool. Well, at the least not a pool you are going to want to jump into. To ensure your pool is the inviting oasis it is meant to be. 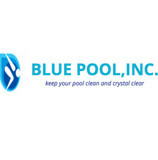 Call on Blue pool,Inc to keep it clean, clean, and properly maintained. With year round services available, you will never have to worry about your pool not being ready. 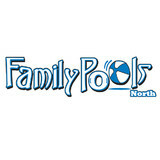 Family Pools North is New England's most trusted above ground pool retailer, focusing on sustainable pool solutions in the southern NH, northern MA area. For over 10 years we have been specializing in above ground pool maintenance and repairs. Personalized service allows us to provide the best customer experience so families can get the most enjoyment from their pool with the least amount of effort. We strive to deliver quality service at the best price. Since 1978, Jackson Pool has been building, remodeling and servicing gunite swimming pools, spas and water features throughout the Metro Boston area. Because we limit the number of projects we have going on at any one time, our attention to detail gives us an edge on quality. Our outstanding reputation is built on customer satisfaction, with the goal of exceeding your expectations. Communication with our clients before, during and after a project is second to none. We are also a full service pool company providing professional and courteous care for all your swimming pool needs. TLC Pool Service wants to be your pool specialist. 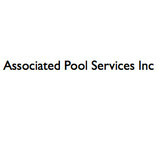 We’ve have been in the pool service business since 1979 and we are a full service company. H2O To Go of Massachusetts is your source for reliable swimming pool water delivery. We make it easy for you to have clear and clean water whenever you swim. Sweetwater Pool & Spa Supply Store carries a complete range of pool and spa chemicals for every situation from opening your pool in the Spring to maintaining crystal clear water all summer long to closing your pool in the Fall. Crowley Pool Service is a full service pool company based out of Canton, Ma. We service both in ground and above ground swimming pools. We are a family owned and operated business and have been servicing and cleaning pools for well over a decade now. We service all towns in a 20 miles radius of Canton. Please contact us for more information, we look forward to meeting you and building a long lasting relationship and helping to make your summers enjoyable. Our company history started in 1964 when Dave and Bobbi Hall built a swimming pool with the promise that Bobbi would teach swimming lessons to pay for the extravagance. Seventeen years of lessons paid for the pool many times over. When Dave found little help available to learn about pool care, he decided to start South Shore Pool Supply, where he sold supplies out of his garage, gave sound advice, and opened and closed pools. Not only was he helping pay for the pool, but he also earned extra cash to feed his winter passion –skiing! In 1991 their daughter, Tracy Dieselman, a chemical engineer, purchased the business and learned about the pool service business while still caring for her young children. She also taught swimming lessons in her own pool until 2015. Dave passed away in 1998, however his ethics and determination continue to be a part of our company culture. In 2005, Tracy’s husband Jay, also a chemical engineer, joined South Shore Pool Supply on a full-time basis. Together they have grown the business into the largest of its kind in the South Shore. Keith Pollard, Tracy and Jay’s son-in-law, was also instrumental in growing the business. Since 2004, Keith’s dedication has been crucial to South Shore Pool Supply’s continuing success. In 2007, the retail store was relocated to Route 3A in Cohasset. In 2012, the office and warehouse was also relocated from Tracy and Jay’s home in Scituate, MA to its current location in Cohasset, MA. Our goal continues to be to keep customers happy by providing excellent service, great value and honest hard work. Hassle Free Pool Care since 1964! Our technicians have extensive experience in the pool and spa industry. Being Certified Service Professionals shows we have extensive on the job knowledge and experience. We can always offer you a solution to your pool and spa needs. If you have something you want installed we will install it for you. If you have bought something online or from another pool and spa company we would be happy to install it. Even if you are just looking for some advise or have a question about your pool or spa we would be happy to assist you in any way we can. Founded in 1988 by Scott Dares, Poolscapes is one of the most respected swimming pool installation and repair companies in New Hampshire. We provide full service swimming pool installations, repairs and site landscaping. Our mission is to exceed our customer's expectations by providing exceptional workmanship, extraordinary service and to insure the longevity of our company through repeat and referral business achieved by customer satisfaction with our services, responsiveness and quality of our work. Bestick pool was started by Earle Bestick in March of 1957. We built pools for about 20 years and slowly shifted to a service and repair business. The time spent building pools gave us valuable training and insight as to the repair and modification of pools. We have taken pools the owners thought were un-repairable and refurbished them to a like-new condition. We are a family owned company with Earle, Carol, Todd, and Liz as principals. We are always expanding and looking for new ways to serve our valued customers. This site is the latest in our dedication to making pool ownership as easy as possible for our present and future customers. What should I look for when hiring a pool cleaning service in Stoneham, MA? Pools and hot tubs are big investments, so you’ll want to make sure to protect them by hiring an expert who cares about them just as much as you do. Check that the Stoneham swimming pool maintenance service you are interested in actually specializes in the type of pool you have — chlorine and salt water pools have very different needs, and in-ground versus above-ground pools will require different upkeep and repair methods. Also, know who will be doing the repair or service; if it’s one of the larger swimming pool services in Stoneham, MA, request that you get same person every time, otherwise you could get inconsistency in treatments. Good Stoneham pool professionals will keep a consistent schedule and log everything they do so that it can be referenced in the event that you switch companies or something does go wrong. Like any other professional, look for local pool cleaning companies near you with plenty of good reviews and relevant experience. Find a Stoneham, MA swimming pool repair and maintenance specialist on Houzz. Narrow your search in the Professionals section of the website to spa and pool maintenance companies in Stoneham, MA and read reviews and ratings for pros in your area.